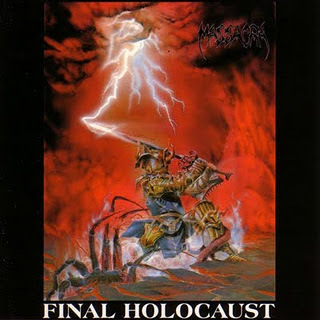 Coming from France, Massacra started off with a few demos before they finally released "Final Holocaust" in 1990. As the bigger thrash bands of the '80s began to go for a much less thrash sound, Massacra did the exact opposite. 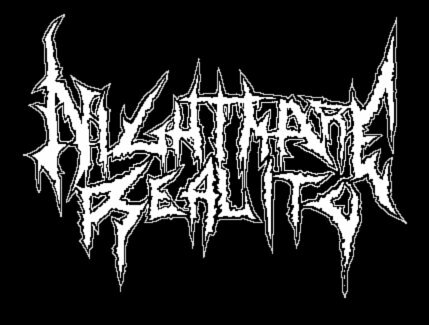 They wrote some of the most intense and vicious thrash to date. With insanely fast riffs, brutal drumming and crushing vocals, Massacra was ready to create a huge name for themselves in the metal underground. The best parts of the music on "Final Holocaust" are definitely the riffs. The blazing fast riffs aren't only amazing because of their speed, but they are extremely catchy. The first riff after the intro sound bite on "Apocalyptic Warriors" is impossible to not headbang to, but the riff after the verse of the song is even catchier. There are also some great death metal style riffs to be found as well. The main riff of "Trained to Kill," features the fast tremolo picking utilized by death metal bands since the dawn of the genre. You mix that death metal style riff with some great thrash riffs, and you have a recipe for greatness. Massacra also shows off their ability to create some great mid-paced monsters like on "The Day of Massacra." There's plenty of everything. Speed, aggression, and heaviness. What more could you want? The fast paced drumming is also a plus on the album. Some of the riffs are more mid-paced, but when layered with the tight and swift drum section, the music seems faster and heavier, while the listener headbangs along until the whiplash sets in. Along with the drums, there are the vocals, capable of destroying small animals, they are so powerful. "Researchers of Tortures," has some of the catchiest verses and choruses on the album, due to the perfect sound made when Jorgensen's vocals synchronize with the brutal music behind them. Overall, there are no complaints that can be made about this masterpiece. Massacra blends the best of death metal and thrash on "Final Holocaust" flawlessly, and it shows. So, if you have not yet experienced the brilliance of France's finest, Massacra, then you need to remedy that ASAP. After you have listened to this, it will eventually become a constant staple of your regular listening, and eventually will be talked about with albums such as "The Awakening" or "Dreaming With the Dead."